REDUCED! 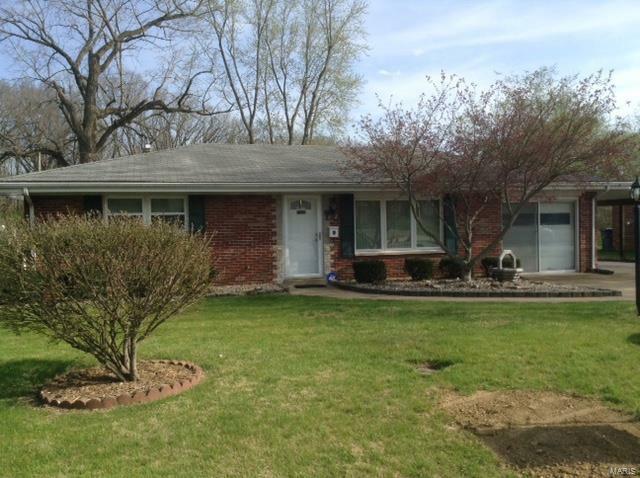 Well maintained, FULL Brick Ranch in quiet west-end neighborhood. Built in 1960, 2 bedrooms, 1 Bath on main level, w/beautiful, hardwood floors throughout most rooms. Windows/Exterior Doors were installed within last 5 years, Roof 2004, Hot Water Heater 2003, Furnace 1998, AC 2003. Beautiful Wood Kitchen Cabinetry & original Wood Floors. Sellers have a transferrable HMS home warranty. Loads of storage on main & plenty of room to grow in lower level. The lower level has Laundry & 3/4 Bath, Family/Rec room w/Bonus/Office Space (possible 3rd bedroom, if Egress Window is installed). One car garage, used as storage, but can be easily converted back to garage w/existing garage door; plus an attached carport (2 car depth). Backyard has tree lined-wooded area & has a black chain length fence surrounding yard. There is a wonderful covered back porch to relax while enjoying nature & family barbeques. Home is in a well established neighborhood, close to Route 15 and west end shopping.